An artist has repaired a banner displayed by a pro-democracy lawmaker about issues at elderly care homes after it was slashed by a vandal. Luke Ching, who often advocates for labour rights, said that he was walking between Tai Po Market station and the nearby wet market on Friday, where banners from pro-democracy lawmakers were often cut or sliced in half by unknown people. “But I couldn’t stand it this time. The four banners of the Labour Party were not lawmakers’ heads [for promotion], but were raising concerns over the treatment of elderly people at care homes,” Ching said on his social media page. 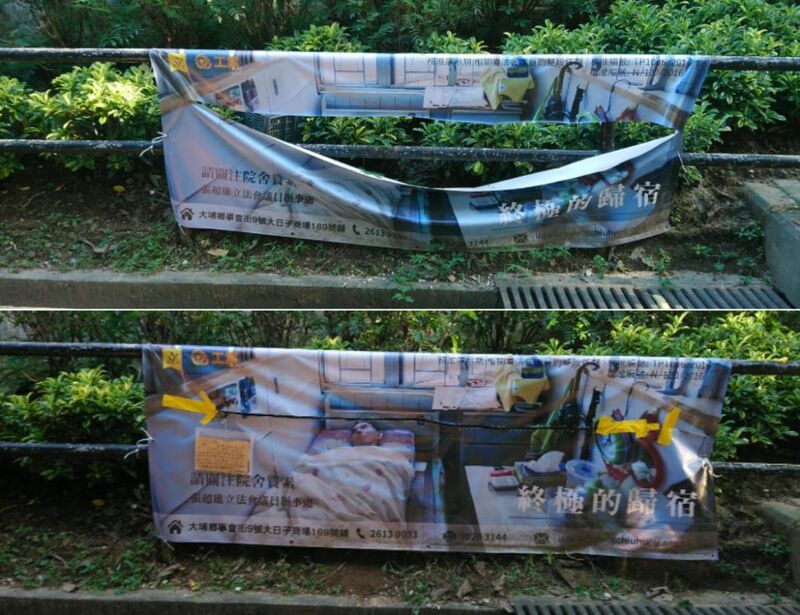 Banners from lawmaker Fernando Cheung showed poor living conditions at some care homes. “Why was the vandal so angry and did not spare them? We all grow old. I can’t figure this out. But I have fixed one of the banners for you with zippers,” Ching said. “Mr/Ms vandal, if you truly cannot control your anger coming from nowhere, I invite you to open the zipper and close it again – it has a curing effect! Then maybe we can care about care home policies together?” Ching added. 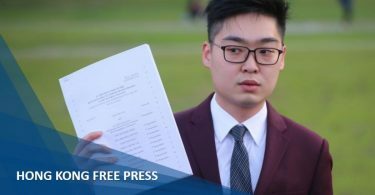 A plastic folder was tied to the zipper – Ching said the vandal could write down their feelings about care homes and leave the note inside. “I believe someone will listen,” Ching said. 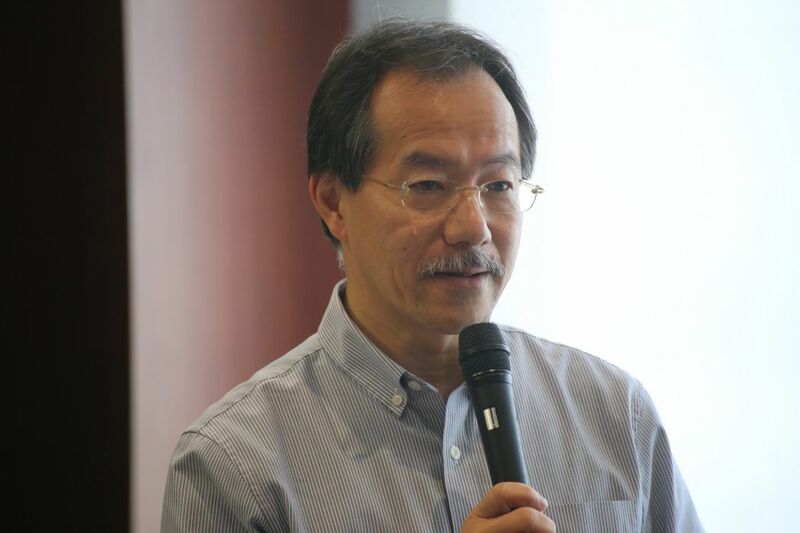 Cheung said he put up many banners about poor living conditions at care homes in his constituency of New Territories East in the hopes of raising public concern – but they were often slashed quickly. 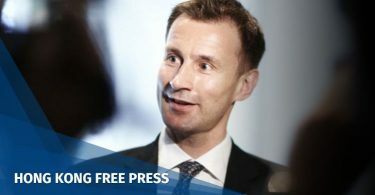 “I hope the government will also learn how to fix this problem, and give elderly and a disabled people a dignified environment at care homes,” Cheung said. Fernando Cheung. File photo: inmediahk.net. Cheung will retire from public office after his term ends in September 2020.